DCU students will be given the opportunity to vote on whether they want their Students’ Union to look at the practicality of smoke-free zones on campus. It is expected that students will be able to vote in a referendum in March on whether they want to mandate the SU to look into the possibility of smoke-free areas around DCU. “I think it’s a good step in the right direction in terms of our student’s health,” said DCUSU President Vito Moloney Burke about the benefits of possibly regulating smoking on certain areas of the DCU campus. Moloney Burke also mentioned the “environmental” and “financial” benefits there are for the restriction on smoking while on DCU property. 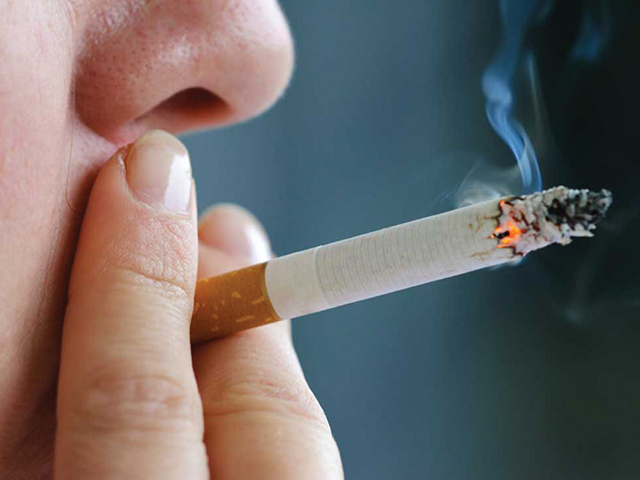 DCU is one of the few third level institutions remaining that do not restrict tobacco consumption in some way. Athlone IT and Westport College were one of the first to go completely smoke-free, while University College Dublin, Trinity College and University Limerick have varying levels of smoke regulation on campus. However, the purpose of this referendum is not to vote on whether students want to make their campus smoke free but on whether or not they want to mandate the SU to explore the option of going smoke free or introducing some type of regulation. The SU will then “explore the other options” if students voted for the regulation of on-campus smoking depending on the “general consensus” of the students, according to Moloney Burke. These options included complete bans or restricted areas for smokers to go. “I feel that it would benefit the majority of people as people who don’t smoke don’t get any second-hand smoke, smokers and part-time smokers would probably do it less, or at least would probably be put off going outside campus to smoke,” said final year Multimedia student and smoker Aaron Jones on whether it would be a good idea in the long run to introduce restrictions for on-campus smoking. “Then again, people should have a right to choose to smoke on their own campus, I guess. Be it in a restricted zone or anywhere they please,” said Jones. Moloney Burke said the smoking restrictions introduced in UL “worked really well” from what he could see when visiting the university. He also mentioned Athlone IT which has total tobacco ban on campus. Moloney Burke stated that the “broader picture” of the “entire student body” will be looked at on this issue. If students vote for the SU to look into DCU becoming more non-smoker friendly then those smoke-free areas are “not going to be policed,” stated Moloney Burke. “I wouldn’t imagine that we’ll have people going around the campuses with sprays of water,” he said. Moloney Burke reiterated the fact that the referendum was not on immediately introducing smoking restrictions, but it allowed students to vote on whether they wanted the SU to look at the possibility of smoke-free zones or not. It was unclear how such regulations would be enforced. “I can’t say how we will enforce it. This mandate, this would give me a mandate to explore, research it and find ways that work and ways that don’t work and land on one that suits us,” added Moloney Burke. There is no set date for the referendum yet, however, it is likely to be held sometime in March.